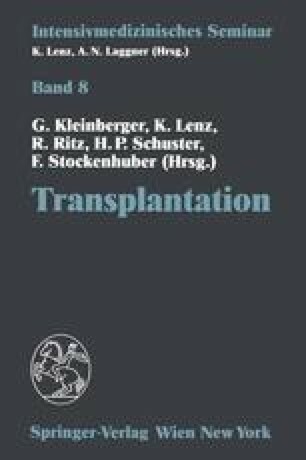 The shortage of human donor organs for transplantation has induced a resurgence of interest in xenotransplantation. For this approach vascularized transplants (heart, kidney, liver) and tissue (islet cells) are considered . Moreover, it became clear that HIV infection cannot be controlled by classical ways of treatment modalities. Hematopoiesis from animal donors resistent to HIV, which would allow human survival, is a fascinating indication for xenotransplantation to humans .